(Los Angeles, CA – February 22, 2016) A Southern-Louisiana native, singer-songwriter ROD MELANCON grew up on a hearty helping of an Americana-meets-blues style of music. In the same way Johnny Cash captured the Arkansas of his childhood and Springsteen brought Asbury Park alive for millions, MELANCON has infused this great American art form with his own unique style and the results have re-invigorated the genre. His third release, the EP LA 14 (in reference to the Louisiana State Highway 14), teams MELANCON again with pioneering producer Brian Whelan (former multi-instrumentalist for Dwight Yoakam) and will be released via the innovative indie label, Blue Élan Records, on April 22, 2016. This EP, released two years after his last album, Parish Lines, is a preview of the full album to be released later this year. MELANCON, with the help of Whelan, has pushed the artist’s song-cycle into a swamp-tinged, country blend that moves out to the parameters of psychedelic-rock laced through with strains of deep southern blues. MELANCON’s strong singer-songwriter sensibility has brought the sound and feeling of South Louisiana’s storied towns, filled with conflicted characters, to life. His songs here, while entirely original, echo the lyrical poetic soul of Guy Clark and Townes Van Zandt. While the singer-songwriter’s debut album, 2012’s My Family Name, mined classic country music for inspiration and his fresh new songs call up the spirit of Johnny Cash and Merle Haggard, it was his second album, 2014’s Parish Lines, that found him truly pushing the boundaries between alt-country and blues-rock. 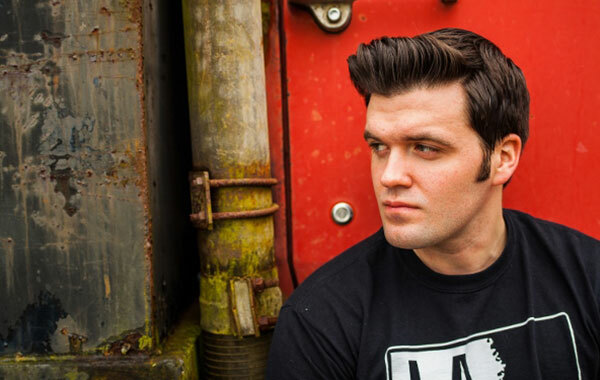 That same year, Rod was spotlighted as one of CMT Edge’s “Five Rising Roots Acts to Watch.” By the end of 2014, Rod was highlighted by the premiere Americana arbiters; from American Songwriter to No Depression to Twangville. Critics across the country took notice of the “Cajun Cowboy” and hailed his debut as one of the Best of 2014. LA 14 represents a new era of soul, depth and innovation for MELANCON. Brian Whelan’s production takes the purity of Rod’s style, enhances and magnifies it. Each of these five songs tells their own story, from the inner hell of addiction to the loyalty of a family friend, to an inside view of tragedy, to the redemption found in a life-long love. These are experiences personal and universal to one of Americana’s finest rising artists, destined to create his own legend and legacy.